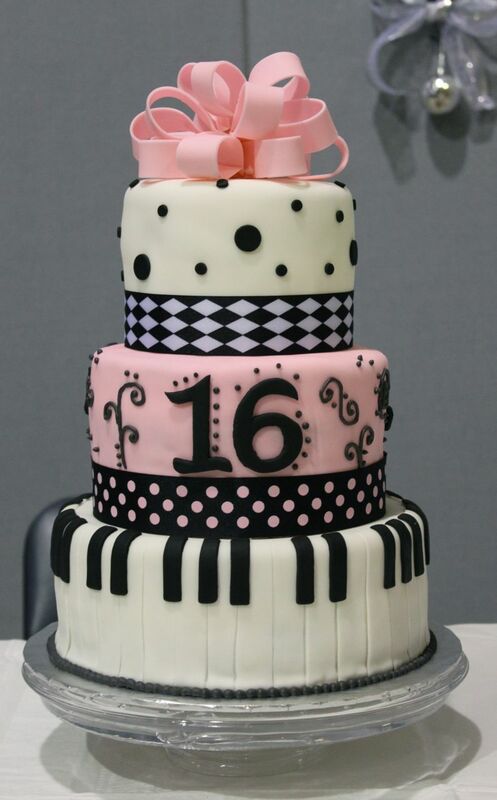 A good friend of mine was throwing a Sweet 16 party for her oldest of 5. 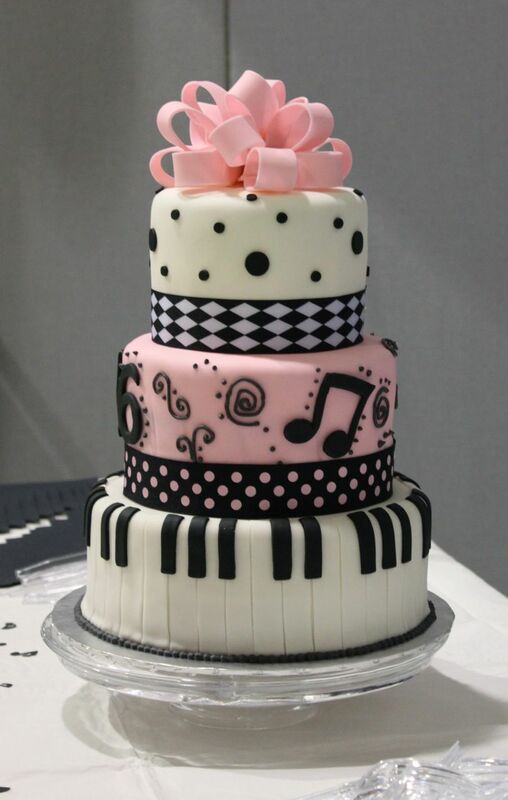 Her daughter loved to play the piano, so she wanted a black/white/pink piano cake. And she wanted it big and bold. Now, I’m all for bold, but the “big” part was a new thing for me. For some reason, I have always stayed away from stacked/tiered cakes. The dowels, oh how they frightened me. 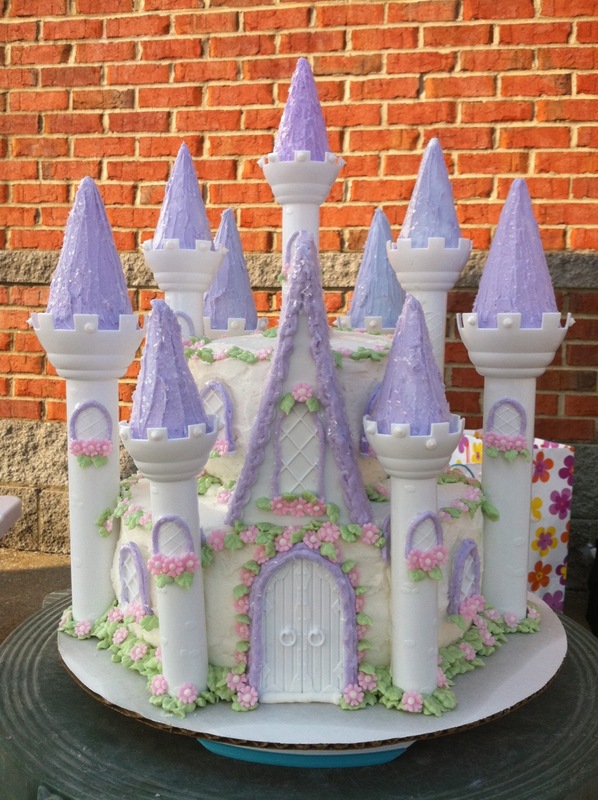 A year ago I made a 2-tiered castle cake for my 8-year-old daughter’s birthday. And while it turned out cute, I didn’t support it correctly, and it ended up leaning. Tilting. Almost falling. It was not a pretty sight. So when my friend said she wanted three (that’s 3) tiers, I said sure, then hung up the phone and proceeded to panic. And the party wasn’t for 2 months. That’s a long time to stress about a cake. As it turned out, my family ended up being out of town during the party, so I came home early, which meant a quiet, child-free house for 2 days. (How’s that for a run-on sentence). It took me longer to do it than it probably should have, but I was trying to be careful since I didn’t have time to re-do anything. And the dowels – I won’t even tell you how many of those things I used. Can we say “overkill”? I tried 2 new cake recipes for it (since mine were too soft to hold up tiers). A white cake from I Am Baker and a chocolate fudge groom’s cake from Wilton. They were yummy. But it turned out fine. No leaning or tilting. And the birthday girl was thrilled. My 5-year-old daughter has a birthday coming up. I think a good sheet cake would be perfect.